Honda of South Carolina Mfg., Inc. (HSC) today announced new investment of $45 million in a 115,000 square foot expansion and innovation project designed to meet growing demand for Honda side-by-side vehicles produced exclusively in the South Carolina plant. The investment is expected to result in the creation of 250 new jobs, which the company has already begun to fill. "With the continued rapid growth of the side-by-side market, Honda is focused on creating an even more flexible and efficient production facility to meet that increasing customer demand," said Gary Mabrey, president of Honda of South Carolina Mfg., Inc. "The step-by-step growth of our operations in South Carolina is really a testament to our outstanding associates and the great products they create for our customers every day." HSC is the exclusive global producer of Honda Pioneer side-by-sides, including the 500, 700 and 1000 series models. Prior to today's announcement, Honda had invested $93 million and added more than 150 new jobs in South Carolina over the past five years related to side-by-side production alone. The expansion and innovation project will enable HSC to meet increasing demand in the evolving side-by-side market by improving manufacturing efficiency, parts flow and logistics. The expansion includes paint, weld, final assembly and material service areas. As part of the expansion strategy, in 2017, Honda will consolidate assembly of small and medium displacement engines currently conducted at HSC to its Kumamoto Factory in Japan, where large displacement engines are already produced. The move will provide the space needed within the South Carolina plant for expanded production of side-by-side products. HSC associates currently engaged in powertrain assembly operations will transfer to other responsibilities within the plant. About Honda of South Carolina Mfg. HSC began production of all-terrain vehicles (ATVs) in July 1998 with a workforce of approximately 200 associates. The initial $30 million, 200,000 square foot ATV manufacturing plant was the beginning of Honda of South Carolina's significant growth in Florence County. Today, HSC employs more than 900 associates in its 630,150 square foot facility that now represents $344 million in investment. With the flexibility to produce many different types of powersports products, using domestic and globally sourced parts, associates at the Timmonsville plant currently have the annual capacity to manufacture 266,000 Honda ATVs and nearly 64,000 side-by-sides for the North American market, as well as exporting globally. Honda began business in North America in Los Angeles, California, in 1959. 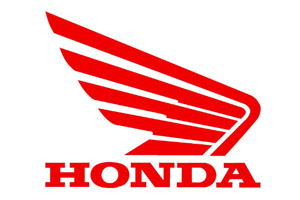 Today, Honda companies in North America represent a cumulative investment of more than $22 billion and employ more than 40,000 associates in the design, development, manufacture, marketing, financing and servicing of Honda and Acura automobiles, Honda powersports products and Honda power equipment products. Honda has been producing products in America for more than 33 years and currently operates 19 major manufacturing facilities in North America. Honda also operates 14 major research and development centers in the U.S. with the capacity to fully design, develop and engineer many of the products Honda produces in North America. In 2015, more than 99 percent of all Honda and Acura automobiles sold in the U.S. were made in North America, using domestic and globally sourced parts.